Saurian Lodge is a wonderful five bedroom country residence set on generous grounds of 13.8 acres with landscaped gardens (designed by Andrew Craigie) and mature paddocks with post and rail fences. "This impressive, architecturally designed house was built in the year 2000 and designed to incorporate the classical proportions of a period residence whilst incorporating all the convenience and amenities of a modern family home," said the agents, Finegan Menton Property Consultants. "The house is approached by an elegant sweeping tree lined driveway which leads to a large cobblelocked forecourt with detached double garage with overhead loft and parking for numerous cars." The bright spacious accommodation of 310 sq.m. benefits from extra height ceilings large solid wood doors, feature picture windows and hardwood polished floors. This wonderful family residence briefly comprises a light filled double height reception hall with gallery landing, drawing room, open plan kitchen / dining and living room, study, cloakroom with toilet, boot room with large utility room and second cloakroom with toilet. Upstairs there are five bedrooms, family bathroom and the main bedroom has ‘his & hers’ ensuite bathrooms as well as a walk-through dressing room. Bedroom 2 also has an ensuite bathroom. 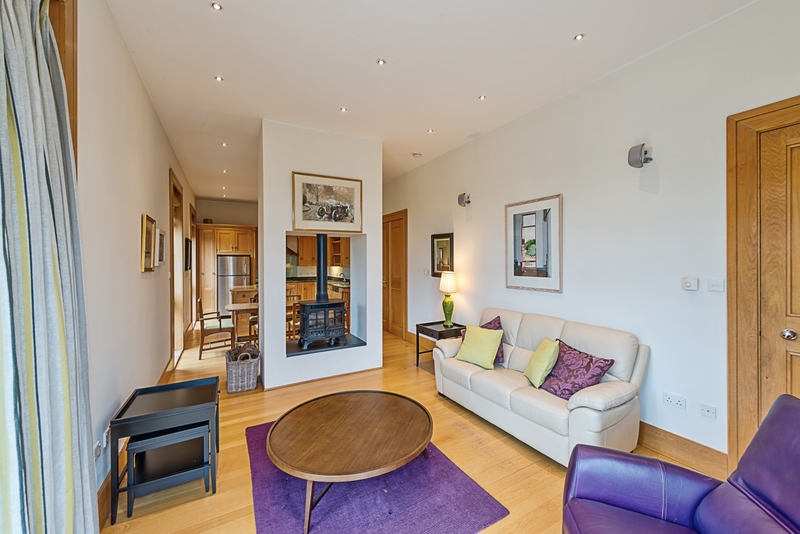 "Saurian Lodge offers a superb family residence set on a large but manageable estate in the heart of the countryside yet extremely convenient to Dublin City Centre (c.37km), Dublin Airport (c.45km) and within a short drive of The K Club and both Straffan and Sallins Villages," added the selling agents. Saurian Lodge was built to an extremely high standard with 11ft ceilings, hardwood floorings throughout the ground floor with under floor heating, solid oak doors, skirting boards and architraves throughout, dual fired oil and gas heating system, bicycle wastewater system, solid oak kitchen by Mark Wilkinson Joinery. The grounds were designed by Andrew Craigie and set out in landscaped gardens with feature sandstone patios with box hedge surrounds, walkways with mature shrubs and trees and surrounded by mature hedges. Post and railed paddocks with mature copses of trees and a magnificent tree lined sweeping driveway with electronic entrance gates complete this superb property. 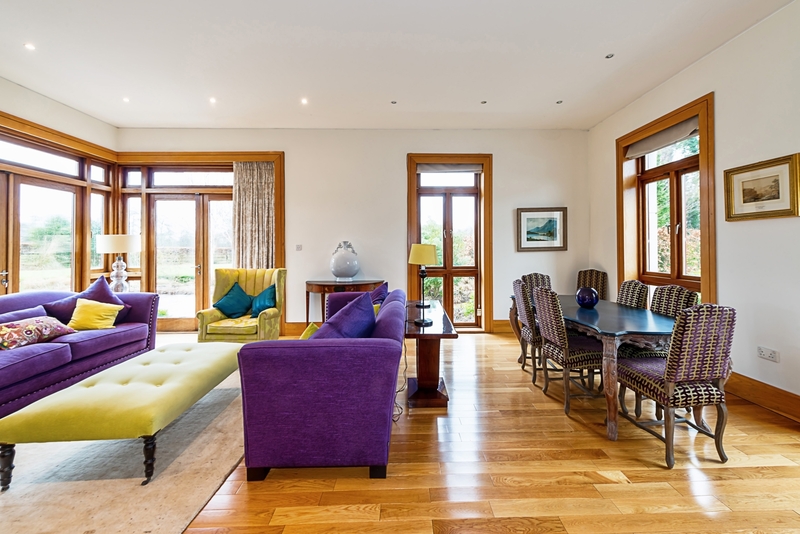 Saurian Lodge is a truly wonderful family country residence which must be viewed to be fully appreciated and is for sale by Private Treaty quoting €1.85 million. Viewing is by prior appointment with Iain Finnegan or Mark McCormack, Telephone 01 6147900.